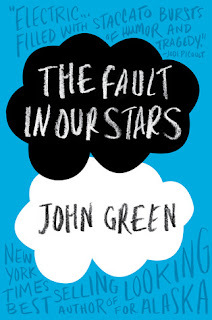 "Micki, it's Steph - I just finished this incredible book, by John Green, The Fault in Our Stars! It has to be your next book!" Me: "Steph - What the hell?! Why would you recommend this? I can't read about kids getting sick. I can't handle that." Steph: "Just keep reading...trust me." Me: "Alright...but if kids die....I'm going to be super pissed at you!" I opened the book...I smiled...I laughed...I sighed...I cried.....I sobbed uncontrollably. I couldn't stop reading! Beautiful Hazel and sweet Gus. As the reader, I felt more like an unobtrusive observer of something so breathtakingly beautiful - and yet so extremely frightening. This incredibly brave story of two teenagers' battle with cancer - taking chances, opening their hearts, finding love - on a journey together...just trying to be normal teenagers. Then, I read the last page...I was shocked, mad and angry. Yes, I cried myself to sleep. Then, after some much needed rest, with new insight, it hit me: WOW - John Green is an absolutely brilliant writer! John Green, left me with my heart in my hands, begging for a different ending. This incredible story is a reminder: our life is our own, but it is without promises. We are not guaranteed health, happiness, minutes, months or years. Sometimes we have to be reminded to open our hearts and bring something to share. Make each moment count... not just for yourself. 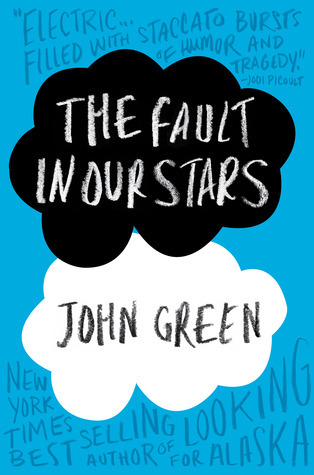 So, for me, The Fault in Our Stars is a must-read for teen thru 154. But, let me give you some advice (which Steph neglected to share with me): Even if you are not a reader that usually cries...keep the tissues within reach just in case. However, if you are like my friend Victoria, who cries over commercials, then...curl up by yourself with a blanket, grab two boxes of tissues and prepare for the flood! Thank you John Green, for reminding me, the time we are given, short or long...is a gift. 1. John Green was amazing! When I told him "I'm sure you have heard this a million times, but The Fault in Our Stars really touched me." 5. This book is flippin' amazing and if you haven't read it yet after all this time, then get a copy, call in sick, send the kids to Grandma's, put your phone on silent, lock the door, grab some tissues and get to reading! What are you waiting for?!!! I read and then recommended this book to many people I know. I apologized later for not warning them about the need for boxes of tissues, but like you said, it's about kids and cancer so you are kind of forewarned. I now have several of John's other books waiting on my "to read" bookcase(s)and can't wait to dig into them. Many topics are relevant to investigate deeply, but it’s not easy to write a paper, because it takes much time, attention and desire. If you are writing a paper and need some help in this, you can rely on educational service. Our writers consider different aspects of essays, trying to search it greatly! Click writing service online to find more useful information!